Hall – The burning In the icy, languid days following Xmas, a dense fog has settled over the Wye Valley. 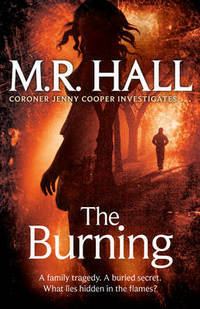 Local Coroner Jenny Cooper, still reeling after being abandoned by her partner for the festivities, is called to the scene of a tragedy: a house burned to the ground, revealing terrible secrets. Before the fire began, Ed Morgan had shot his two stepdaughters dead, before turning the gun on himself. His infant son is still missing..
Joyce – Perfect Sunday Times Bestseller Summer- 1972: In the claustrophobic heat, eleven-year-old Byron and his friend begin ‘Operation Perfect’, a hapless mission to rescue Byron’s mother from impending crisis. Winter, present day: As frost creeps across the moor, Jim cleans tables in the local café, a solitary figure struggling with OCD. His job is a relief from the rituals that govern his nights. Little would seem to connect them except that two seconds can change everything. And if your world can be shattered in an instant, can time also put it right? Kasasian – The Mangle Street murders Gower Street, London, 1882: Sidney Grice, London’s most famous personal detective, is expecting a visitor. March Middleton is Sidney Grice’s ward, and she is determined to help him on his next case. Her guardian thinks women are too feeble for detective work, but when a grisly murder in the slums proves too puzzling for even Sidney Grice’s encyclopaedic brain, March turns out to be rather useful after all. Kent – Burial rites In northern Iceland, 1829, Agnes Magnúsdøttir is condemned to death for her part in the brutal murder of her lover. Agnes is sent to wait out her final months on the farm of district office Jøn Jønsson, his wife and their two daughters. Horrified to have a convicted murderer in their midst, the family avoid contact with Agnes. Only Tøti, the young assistant priest appointed Agnes’s spiritual guardian, is compelled to try to understand her. McPherson – Dandy Gilver and a deadly measure of brimstone Perthshire 1929 and the menfolk of the Gilver family have come down, between them, with influenza, bronchitis, pneumonia and pleurisy. Dandy the devoted wife and mother decides it is time to decamp; Dandy the intrepid detective, however, decides to decamp to the scene of a murder she would dearly love to solve. Morris – The dark palace April, 1914. The premiere of notorious Austrian director Konrad Waechter’s new film is interrupted by the screams of a woman in the street outside. She has been viciously mutilated in a horrific act of violence which eerily echoes a macabre act of violence in Waechter’s film. DI Silas Quinn and his team investigate. Robinson, Peter – Bad boy and Piece of my heart 2 fantastic DCI Banks crime novels!! Yrsa Sigurardottir – Someone to watch over me A young man with Down’s Syndrome has been convicted of burning down his care home and killing five people, but a fellow inmate at his secure psychiatric unit has hired Thóra to prove Jakob is innocent. If he didn’t do it, who did? Yrsa Sigurardottir – The silence of the sea International bestseller. A luxury yacht arrives in Reykjavik harbour with nobody on board. What has happened to the crew, and to the family who were on board when it left Lisbon? Translated from the Icelandic. Orford – Water music A terrified, frozen child is found close to death on an icy Cape Town mountainside. No-one reported her missing, where does she come from? This entry was posted in Book Reviews, Books and tagged Book Reviews, Crime. Bookmark the permalink.